Townscape Architects are a RIBA chartered practice with a studio in Harrogate and York, North Yorkshire. We design spectacular high end residential properties and residential development across the region. Our services include the design of new build houses, house extensions, property refurbishments, barn conversions, works to listed buildings and property advice. We design in a range of styles to meet with our customers needs and always focus on delivering high quality solutions that are tailored to our customers specific requirements. At Townscape every customer gets their own in-house project manager and as a client you get the best possible attention to detail; you get the most attentive of customer care; and you get the innovative high quality architectural solutions that you are looking for. Every aspect of your architecture requirements can be handled by our team. You do not need to worry about planning departments, building regulations or builders. We will sort it all for you. Find out how Townscape Architects can help – discover a new kind of architecture. Ian Hazard founded his own architectural practice in North Yorkshire in 2012, to create a hands-on, contemporary regional design studio that brought together his passion for architecture, landscapes, materials and making. Ian began his career working with craftsmen, builders and joiners, and brings together an understanding of technical construction processes, with his diverse range of international design experience, to produce high quality, contextual, contemporary design projects. The practice now works on a range of projects across North Yorkshire, from the Dales to the coast, often working in the National Parks, Conservation Areas and with Listed Buildings. We have a wealth of Architectural, Planning and Design experience within Yorkshire, often gained in sensitive areas such as Conservation Areas and Areas of Outstanding Natural Beauty. This enables us to provide a bespoke service to suit the aspirations of our clients, with work ranging from new developments to conservation work on historic buildings and pretty much everything in between. Established by Andrew Long in 1981, the Practice merged with Newcastle upon Tyne based Architects; CSM + Architects in 2011, building on an already strong team by offering additional skills and resources. Will Moses became the Partner responsible for Andrew Long Architects following Andrew's retirement in 2016. We Are A Collective of Brilliant Specialists. PPIY architects + of York is an established RIBA Chartered architectural practice , near York Station, Micklegate Bar and the historic centre of York. We work throughout the North of England and the UK. We are a passionate and talented collective of brilliant architects, surveyors and designers. PPIY specialize in the care, design and construction of buildings and all aspects of the built environment. Our work provides for; conservation, renovation, adaptation, re-ordering, intervention, extension and new-build. We offer a wide range of expertise in a variety of sectors and through a wealth of knowledge we will either help you care for your existing building or help you build a new one. The Practice is an RIBA Chartered Practice, Registration No: 534179 and all our architects are Chartered members of the RIBA and ARB registered; our Surveyor is a RICS qualified Building Conservation Accredited Specialist, two of our Consultants are AABC Accredited Conservation Architects and our CDM Principal Designer is APS accredited. OUR PHILOSOPHY For every commission, large or small, it is our policy to provide a service of the highest professional quality and each project receives the personal attention of a Director. We aim that the core team that starts the process will be with you right through to completion. OUR DESIGN PROCESS PPIY work in close partnership with our clients to understand their ambitions and requirements which forms the foundations of the proposals. We offer a comprehensive architectural service including; measured building and site surveying, architectural design, 3D visualizations, landscape design, through to interior and furniture design. We undertake building fabric and Quinquennial Inspections and we can also offer CDM Co-ordination services, as part of the Construction (Design and Management) Regulations 2015. OUR ARCHITECTURE PPIY are committed to maintaining and improving the quality of our architecture and to strive for new levels of excellence and brilliance. We provide ideas and a service that aims to deliver the brief requirements and exceed expectations. Our aim is to produce architecture that is inspiring for everyone that enjoys the work that we create. Working together with our clients our goal is to design buildings which deliver “firmness, commodity and delight”. We love buildings and we love to build. 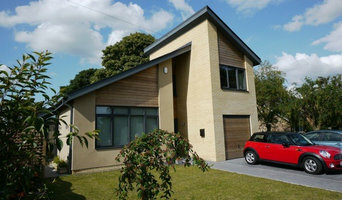 One man Architectural Practice established in 1996 and based in Knaresborough. RIBA Chartered Practice. Specialist in Barn Conversions House extensions and Alterations plus Church and Listed Building Work. We provide a full architectural consultancy service and are interested in all projects, whatever their scale. Whether a small residential extension to a family home to improve family life, or the commercial design of a primary school to create an inspiring environment for learning. We can do it! All our projects, big and small, are treated with the same philosophical approach; to enhance an environment and improve people’s lives. We will maximise the outcome of any budget, striving to honour the brief, exceed expectations and delight our clients. We believe we can design for better living, whatever the budget. Communication is key to the success of any project. We will listen to you. Our experience and understanding will enable us to meet your needs and act as the conduit bringing your project to life. We are passionate about design and believe in inspiring, timeless architecture, delivered personally and professionally, bringing your ambitions to life. We aim to provide that additional delight which distinguishes good architecture from good building. RIBA Chartered Architects. 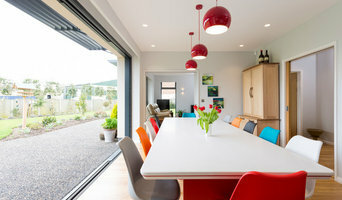 How do I choose the right Bedale, North Yorkshire architect? Begin by determining the type of architectural service you require. Is it merely advice that you need? Or a detailed set of architectural design plans? Are you hoping to add a single-storey extension or are you really looking for someone to design you a custom home and handle construction management right through to completion? One of the most important duties of full service architects in Bedale, North Yorkshire is to serve as project managers and supervise most aspects of construction as well as facilitate communication between all other contractors. Architecture is an incredibly technical profession and one where getting things wrong can literally put lives at risk, so do background checks on your Bedale architect. Check they are registered with architecture associations such as the Architect’s Registration Board (ARB) and The Royal Institute of British Architects (RIBA). Being part of an architecture association means that an architect or architecture firm has met certain standards, qualifications and practices, and can be held accountable if they don’t meet these standards. It’s advisable to choose architects that specialise in the kind of project that you are undertaking as their existing experience will shine through in the completed design. Look for an architect in Bedale, North Yorkshire that can provide references and reviews of their previous work. Once you have determined the service level you need, your next consideration will be architectural style. Some architects specialise in designing for traditional housing such as period cottages and country homes, or even in designing modern replicas in a period style. 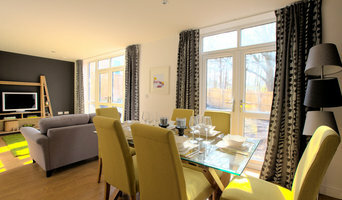 Others have a knack for imagining bolder, more futuristic architectural design in Bedale, North Yorkshire incorporating the latest green technology. Check their Houzz profile and website for examples of previous work. Early on, try to gauge availability – there’s no point in choosing an architect that’s going to be booked for months if you have a tight deadline. Some architects are happy to do all their work online or over the phone with you, but if you’d prefer to work with an architect in person then check that your chosen architects in Bedale, North Yorkshire will travel to you. At the first meeting, preferably at your property or building site, give as clear a picture as possible of the kind of home you are trying to create to your architects. Chat through your goals, projected budget, scope of work, schedule and feedback, together with any very specific requirements you might have. It is crucial that your architects are clear about their responsibilities and that these are documented in the contract. Ask them to walk you through the process, including the number of architectural design consultations, site visits and what they will be delivering and when, e.g. feasibility study, a technical drawing, tender package and/or planning application drawings. They could illustrate this using a previous client’s project. Also, what does the architect need from you? Deeds, rights of way, deposit, staged payments etc. Once you have covered all this detail, you are ready to make your choice and get started. The architecture company in Bedale, North Yorkshire that you hire will likely start with concept drawings and finish with construction drawings and documents. Some firms even design with 3D renderings, CAD and videos, but this is by no means essential. You are looking for architects in Bedale, North Yorkshire that have the right balance of creative flair, technical nous, practicality and impeccable service to see you through. Get a sense of whether they are a good listener, collaborator and problem solver. Checking their references will also be invaluable at this stage so look at their Houzz profile for past customer reviews. Ask to speak to previous clients, particularly regarding their responsiveness and ability to work creatively around a budget. There is no set payment structure for an architect. Some Bedale, North Yorkshire architects will charge an hourly rate, others base their fees on a percentage of the total construction cost or propose a fixed fee (payable in instalments) for projects such as house extensions or a complete home design. You may wish to pay in stages to safeguard against any possible dissatisfaction with the quality of service. Make sure the total figure and payment schedule is agreed as part of your contract, particularly if you are trying to accurately estimate the cost of building a house. What are the important questions to ask architects in Bedale, North Yorkshire? How long have you been an architect in Bedale, North Yorkshire? Are you part of ARB and RIBA? Are you part of any other associations of architectural design in Bedale, North Yorkshire? 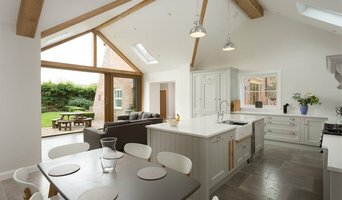 Find architects in Bedale, North Yorkshire on Houzz in the Find a Pro section today. Start by browsing the architects and Bedale, North Yorkshire architectural design firms near you and assess their reviews, latest projects and contact details.